On of the top family dentistry in Orlando - Paradise Dental Group. Bring your whole family to our Family Dentist in Orlando today! Orlando family dentist Russell Hamarnah, DMD, is a caring, patient-focused dentist for kids, teens, parents, and adults. Our family dentistry practice in Orlando is cozy and welcoming for the entire family. Dr. Hamarnah sees children ages 6 and up. He believes that forming strong oral health habits from an early age is essential. Children younger than age 6 are welcome to tag along with their families so that they are exposed to the friendly, welcoming atmosphere of our dental office. Because Dr. Hamarnah is a dentist for kids and adults, you can schedule family appointments at once. Not only does Dr. Hamarnah enjoy getting to know you, your partner, your children, and your extended family, he realizes that family appointments are much more convenient for you. Our entire staff is great with kids as well as committed to making everyone feel welcome and appreciated. Since an introduction to oral health is so important, we help younger children learn how to care for their teeth in a fun, interactive way. 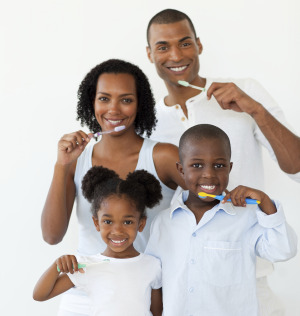 Our hygienist also helps older children and adults alike stay on track, providing pointers and tips along the way. Why Choose an Orlando Family Dentist? Dr. Hamarnah graduated at the top of his class and continues to impress colleagues and patients alike. He serves as both a children's dentist and a family dentist who focuses on creating a pain-free dental experience. Patient-focused and extremely caring, Dr. Hamarnah takes the time to explain your condition, any treatment options available, and the pros and cons of his recommendations. Dr. Hamarnah works with you to determine the best treatment plan based on your needs and preferences. Dr. Hamarnah regularly attends continuing education classes to ensure that his expertise is current. Contact Paradise Dental Group today to schedule an appointment with a family dentist in Orlando.